The famous Gold Rush in California in the 1850s was a bitterly disappointing and brutalising experience for many of those taking part. But for a few, it meant a fortune. One of those, carrying his gold home with him on a ship that foundered in the Pacific, became the subject of a cautionary tale by the great Victorian critic John Ruskin a few years later. He described how the passenger, who was carrying 200 pounds of gold with him, was loathe to abandon his hard-won wealth when the ship disappeared beneath the waves. He therefore strapped as much as he could to himself, and jumped over the side. Once in the sea, the gold dragged him down to the bottom. This neat story, written in the style of a morality tale told by preachers, could have been no more than a short homily about laying up treasure in heaven. But for Ruskin, it was an economic parable as much as a spiritual one. He put it at the heart of his controversial 1860 essay series on economics in the Pall Mall Gazette, commissioned by the editor, novelist William Makepeace Thackeray. Ruskin launched this polemic with an attack on the people who were supposed to be experts – and in this case, the economists who believed that scarcity was the basic existence of humanity. The essays, and this distinction – between wealth and what he called ‘illth’ - caused such controversy that Ruskin was never invited to write about economics again. But when they were published as Unto This Last, it had the most enormous influence on the next two generations. Gandhi read it from cover to cover on his journey to from London to South Africa and it inspired his political struggle. Schumacher was inspired by its principles to develop his concept of Buddhist economics. That tradition – economics as if people mattered; economics that recognises that money can also be a hindrance, and that the economic system is creating poverty – is the basis of an emerging new, rather broader understanding of economics. You can read more about it in my book The New Economics: A Bigger Picture. Why am I talking about Ruskin now? Because the spirit of Ruskin hovers over us this autumn with the release of two Victorian films – Emma Thompson in Effie Gray (with Greg Wise as John Ruskin) and Timothy Spall in Mr Turner (with Joshua McGuire as John Ruskin). Effie Gray, the name of Ruskin’s wife in his disastrous marriage, has been held up for some years by legal actions which have now been resolved. Turner was Ruskin’s hero, the man who was the star of his influential book Modern Painters, and the spirit of whom he arguably translated into economic terms in Unto This Last. The story of Effie Gray’s affair and marriage to Millais brings no great credit to Ruskin, but it is no coincidence that both these films are emerging at the same time: Ruskin’s approach to economics was a blistering critique of the Victorian age, and its commitment to ugliness, and it is an equally blistering critique of our own age - also rather committed to ugliness, for anyone who can't afford otherwise. I haven’t seen either film, though I’m going to. And I know they won't really be comfortable viewing for those of us who admire Ruskin. But his spirit has a habit of re-emerging at times like our own, and these films seem to me to be some evidence of a return. And that much, I'm glad about - because we need a spark of Ruskinian radicalism now more than ever before. I have just moved house, an unexpectedly stressful business which involves a good deal more wandering around with a screwdriver than I had intended. "Forty-three per cent of voters with a telephone would vote for a centre party which doesn't exist - and isn't likely to.... The Mail said a centre party would get 30 per cent of the vote, but 40 per cent if the Liberals were in it. " There was then an obscure discussion about the support that David Steel would get if he was leader, trumped by Shirley Williams if it was her. But then, as we all know, later that same year, the Mirror had to eat their words: the SDP was indeed launched, and shot up in the opinion polls for a couple of exciting and rather stressful years - I speak as a twentysomething Liberal activist at the time. But it set me thinking about the need people have in every age for a new political pretender, on whom they might project their greatest hopes. So have people really swung to the right in the three and a half decades since then? From the enthusiastic endorsement of a centre party with the European Union in its DNA to a right wing party which looks very different (though I don't think Ukip will ever manage 30 per cent in the polls). I doubt it. What that editorial reminded me is how much people long for political outsiders who might speak for them against the establishment. It doesn't really matter if it is Ukip or an SDP which didn't yet exist. They will gather support. I'm not arguing that they will inevitably fade away. The SDP came back in the form of Blair and inherited the world, after all. Ukip could pull off a similar trick with the Conservative Party. They are parallel phenomena. There are other parallels between then and now. Back in 1981, people felt a sense that their government was powerless to help them - inflation was at nearly 12 per cent, UK industry was closing its door thanks to the high pound, the unemployed were marching from Jarrow again and riots were about to tear apart the inner cities. These days, the economic situation is a whole lot better, but there is a doubt - it seems to me - whether the establishment wants to support the people of the nation. I'm not talking about welfare here. I'm talking about the sense that even the middle classes have that the establishment is somehow governing on behalf of someone else altogether. The trickle down effect which so motivated the government in 1981, and which so manifestly failed to trickle, has become such a doctrine of faith that the mainstream political world seems not to have noticed that, actually, it doesn't trickle down - it hoovers up! 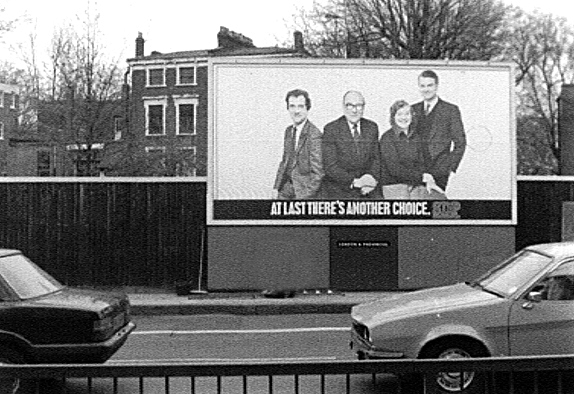 So when I heard that another Conservative MP has thrown in his lot with Ukip, it partly reminded me of 1981 when the same thing was happening to the Labour Party - and it partly reminded me of what drives the rage behind Ukip. It is the same phenomenon that drove the independence vote in Scotland. It is people's sense that their own politicians are not on their side - that they have become so stuck in the fantasy of trickle down that they appear to be governing entirely on behalf of a global elite. Smoothing the way for their luxury high rise flats, their cheap labour, their monopolistic ambitions. This is not going to last, because it can't - it throws up ugly, intolerant politics. It provides no answers. Something is going to shift, and my guess it will do so in the next parliament - but we are going to go through a rough period before we get there, and there is a lot of thinking to be done in the meantime. This is the time of year for the collective meltdown of the middle classes, and anyone else concerned to choose the right secondary school for their child. See my book Broke to explain how we got here. The system which has the shorthand word ‘choice’ attached is, more accurately, the right to express a preference and it works relatively well in some areas. In London, where just over 60 per cent go to the secondary school they want to, it has become a source of insanity and panic. I became fascinated with this phenomenon when I was writing the Barriers to Choice review for the Cabinet Office in 2012-13. The hard fact is that, although the system works in some places – probably even most places – it has precisely the opposite effect that it should in London and elsewhere. It is billed as ‘choice’ but in these places it is nothing of the kind, given that the schools and the local authorities are doing the choosing. That leads to a range of the most egregious abuses – terrifying house prices around good schools, tutoring from the age of four and all the rest. It is a major factor in my own decision to leave London, and a recent visit back to my old neighbourhood revealed the meltdown in full flow. That sums up succinctly my own conclusions on the subject. Where there are enough local schools, and there is some diversity between them, the system can work well. Where there is a shortage of places or all the schools are identical, then you have serious difficulties. Combine that with areas of high population growth and high deprivation, as you get in London’s East End, and you get the seeds of what could become a serious source of injustice. This leads me to support the idea of free schools, because that is the way you inject diversity into the system. But clearly it isn’t the only solution. The basic problem lies in the way school choice was designed, by a group of economists at 10 Downing Street during the Blair and Brown years. Like many economists, they seemed to have believed there were approved ways of making our choice – on results, as mediated in the approved way through league tables. In fact, once you talk to parents – or interrogate yourself – you find that what many parents want from schools is something much broader and diverse. Will their child be happy there? Will they make friends or be bullied? What is the staff turnover? Will they be allowed the flexibility to study what they want? Will they be encouraged to be what they want? None of these were on the approved list of the economists behind public service choice, or on the league tables or websites. Nor do they undermine the idea of choice – they support it. If only they could get one. But there is a fascinating twist to this story. I went to the open day of our local secondary school last night, and it was very impressive. It certainly impressed my ten-year-old. The headteacher didn’t exactly pour scorn on Ofsted, and he mentioned the word ‘outstanding’ whenever he could. But equally he claimed not to be very interested in their structures or standards. True to his word, the word ‘results’ didn’t pass his lips – perhaps he assumes we already knew them – and he said what his audience really wanted to hear: that he believed our children “would be safe, happy and make friends there”. “I believe that, when children are safe and happy, then there are opportunities for learning,” he said. Happiness came first – not a word from the lectionary of approved choice. This is interesting because it is, in some ways, a vindication of school competition, in precisely the opposite way that the doyens of service choice intended. He was appealing over the heads of the regulators to what he knows parents really want, drawing on our scepticism about the league tables and Ofsted inspections, with their computerised reports. The hall was packed with salivating parents and excited children. It worked. I don’t believe it worked in the way that Ofsted intended. Subscribe to this blog on email; send me a message with the wordblogsubscribe to dcboyle@gmail.com. When you want to stop, you can email me the word unsubscribe. The very first party conference I ever attended was the 1982 Liberal Assembly in Bournemouth. There, squeezed into a crowded and sweaty room, I heard Adrian Slade's brilliant performance as Roy Jenkins, in front of the very uncomfortable man himself. I believe Jenkins later described the experience as the least comfortable moment of the Alliance years. Hard to believe that, actually. Among Slade-as-Jenkins' best lines was the phrase "our great crusade to change everything - just a little bit". "The power of Treasury spending teams, combined with the short-term nature of Budgets and Autumn Statements encourages a tendency towards policy wheezes, where a long-term approach to policy-making would generally be more productive." I entirely agree with that. It is paradoxical that the high-minded Treasury should be the cause of such short-termism, but that is one of the side-effects of centralisation, as the report The End of the Treasury argues so convincingly. Then along came the evening paper with the lead story about Ed Miliband's speech. A hypothecated tax on 'mansions' to pay for more than 30,000 new NHS staff. There was something desperately depressing about this, and I believe the clue to why lies in Miliband's Jenkins-esque campaign to change everything, just a little bit. It wasn't that any of these objectives were mistaken, but of all the big ideas he might have come up with, this one has a staggering inability to leave the key problems we face unscathed. Will it tackle the imbalance of regional finances (no, the focus on property tax which shifts so much economic power to London will remain)? Will it tackle the property bubble? (maybe on homes above £2m, but otherwise no)? Will it tackle the structural difficulties in the NHS, its focus on pharmacalogical treatment rather than prevention, its obsession with one-off interventions rather than tackling chronic ill-health (no)? It will, in short, leave most of our difficulties exactly the same, but it's a good soundbite. It reminds me horribly that the UK system of government is the sum total of all the last generation's wheezes and quick fixes - with the possible exception of public services, which are regularly dug up by the roots to make sure they are still alive. I remember sitting across the table in Whitehall in the early years of the Blair government and being told by a senior official that what they wanted was 'big ideas'. I was briefly excited by this, until I discovered it was a delusion - they actually wanted small ideas. The smaller the better. This slightly world-weary blog post is critical of Labour, because this is somewhere where they always end up. But it is only fair to point out that every party has their besetting sin when it comes to developing policies. The Conservatives certainly have one ("I see no problem"). So do the Lib Dems ("well, I wouldn't start from here if I were you"). What is infuriating about Miliband's speech is that this particular example of wheeze-itis is so obvious in its origins. It was so obviously cobbled together in a focus group that it almost still shows the signs of the bourbon biscuits eaten during the event. The news that Tesco, formerly the Great Satan of anti-monopoly campaigners, have overstated their estimated profits by £250m is rather extraordinary – but only logical, given the way the politics of measurement is developing. They have succumbed to the spirit of the age, and the besetting sin of Westminster and Whitehall: the idea that figures will always represent reality. If you believe that, and unfortunately many of us do, it is but a short step to the obvious conclusion: if you change the figures, you can change reality. You can see why some public service managers and their voluntary sector contractors fall under the delusions of this idea. The whole system encourages them to do so – their success or failure depends on them subverting the cage of outcome figures created for them. Out of these small lies, big lies hatch. But both are symptoms of the basic mistake – that you can measure progress objectively like this. You can see why politicians fall for it. The English doctrine of only doing the minimum required to achieve an administrative outcome leads inexorably to this idea – why do we have to actually reduce unemployment, after all, when all you need to is manipulate the definition? Or so they whisper to each other. You can see why financiers fall for it. Change the figures, change the belief and you move markets, and there is a residial idea that prices are always real. Collectively, we seem to have fallen under the spell of the utilitarian idea that everything can be measured, every problem calculated, every issue resolved by data. The truth is that numbers are indeed hard and objective, but they are chained irrevocably to definitions, which are endlessly malleable. This is the great truth about evidence-based policy which the Masters of the Universe have convinced themselves that only they understand. Data, statistics, evidence – those are for the hoi polloi – they know the truth: there is no objective reality. Actually, this is just as much of a delusion, but this quiet understanding leads to the present corruption – manipulated data in public services, Libor rate manipulation, tweaked definitions in every area of public life. One answer is to set up trusted institutions – monetary policy committees, NICE, offices of budget responsibility and so on – but those soon get dragged into the controversy. They remain influenced in a subtle way. How could they not be? The other, more commonsense idea, is to remember that there is no way out of the human business of making complex judgements. We can’t escape it – and the sooner we wake ourselves up from the utilitarian Big Data dream and start doing so again, the sooner we might be able to take some control of our own destinies again. It's a funny thing but I found myself suddenly emotional about the Scotland vote on Friday. Having been far less convinced about the future of the union as maybe I should have been - what does nationhood mean in practice these days? - I happened to be on the phone to an office selling sheds in Edinburgh after the result come in. I felt an overwhelming urge to say to the friendly Scottish voice at the other end how glad I was that we were still in the same country. I managed to restrain myself - perhaps I shouldn't have - but I am glad. The prospect of being what I've always wanted to be - a Liberal little Englander - was, in the end, outweighed by three centuries of partnership and a faint memory of Night Mail, and Auden's poem set to Britten's music. 1. The big loser of the whole affair was Ed Miliband, and it was pretty clear that he doesn't have the charisma to shift the nation, as he rather clearly failed to shift Scotland. 2. You can't have major constitutional change without some kind of cross-party consensus, as Danny Alexander bravely pointed out over the weekend. 3. Where is Charter 88 now that you need them? A brief aside: I spent the 1992 general election helping to organise well over 100 local Charter 88 debates the week before polling, all about the UK constitution. It was known as Democracy Day, and it had a huge impact, but little effect at the time. Even so, five years later, a great deal of the consensus (PR for Europe, national parliaments etc) was enacted by the Labour government with Lib Dem support. Nothing is quite so conveniently available off the peg this time. But my overwhelming sense is that the period of centralised government by Whitehall - the invention of a combination of the Attlee government of 1945, driven ad absurdam by the Thatcher government of 1983 - is now over ("The gentleman in Whitehall really does know better what is good for people than the people know themselves," Douglas Jay, 1937). Somehow or other, the next government is going to have to find us a more effective, more innovative form of government, handing powers out widely to cities and counties, as part of a wider settlement that is far more important than the development of an English parliament at Westminster (another kind of centralisation, it seems to me). "Liberalism is trust in the people tempered by prudence. Toryism is distrust in the people tempered by fear." Yes, I know, it's almost too late to comment on Scottish independence - they're voting today. I suspect that the result, whatever it is, won't be the end of the debate, so I'm having another shot at it. It is interesting, watching the news coverage, how much of the Yes case is bound up with anger about what might be broadly termed 'inequality'. This is the sense I get from the vision of Two Scotlands. It isn't so much the haves and the have-nots, but it is about different beliefs about how the have-nots might eventually have. The financial elite believe inequality is an outdated irrelevance, which has little to do with them. Meanwhile the currency shoots up and down in value because of the fears of secession across Europe - and all driven precisely because people no longer feel a stake in their own nations. The truth is this: inequality is market sensitive after all. Having said all that, I don't know - in the new world of interdepedence - whether nationhood really means anything any more. Not in practice. And that fact is, as much as anything, down to the legacy of the Scottish enlightenment, and its emphasis on humanity and rationalism. That is the message of Adam Smith, Lord Kames, James Boswell and all the rest of them. And here we really see the Two Scotlands. In 1745, when the highlanders reluctantly rallied to the flag of Bonnie Prince Charlie, those involved in the Scottish enlightenment barred the gates of Edinburgh and Glasgow against the rebels. But he was also opposed by the new traders of Glasgow and the new middle class academics and publishers of Edinburgh. He was a symbol of the old-fashioned world for those who were lighting the first sparks of intellectual excitement that were emerging, and would be known to history as the Scottish enlightenment. The irony was that it was this dismal moment of Scottish defeat that made possible a new kind of Scotland which gave itself to the world. The final capitulation of the other Scotland, the medieval memory of clan loyalty and absolute authority, was finished. It was dead and mourned, but its destruction had made way for the new Scotland to emerge. It emerged in a way that it did almost nowhere else in Europe, among a group of like-minded writers, philosophers, historians and lawyers, who wanted to dispel the old fog of Calvinism and look at mankind differently. Human nature and the scientific study of mankind was at the heart of the beginning of the Scottish enlightenment, and the defence of Edinburgh against the rebels also fell to the enlightenment. They were led by the mathematics professor Colin Maclaurin. The future historian William Robertson joined him as a volunteer on the battlements. The seventeen-year-old future architect Robert Adam was his assistant. The defence failed and the volunteers repaired to Turnbull’s tavern for claret. When the news of Culloden came through, celebratory bonfires were lit all across Glasgow as well. 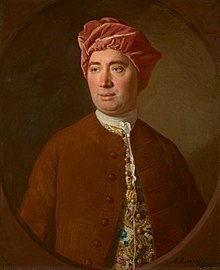 David Hume was away tutoring the Marquis of Annandale, who was classified as a ‘lunatic’ (it was not a happy relationship). Smith was having his nervous breakdown in Oxford. The future writer James Boswell was in Edinburgh, but still only five years old. They missed the excitement, but it was really only after the trauma of the rebellion that the enlightenment was free to spread its wings. So when we think of the Two Scotlands today, remember that it is in this sense a longstanding division, and it has at its heart a different understanding of nationhood. I think of it as closer to Robbie Burns' idea that human beings, whatever their nation, "shall brothers be for 'a that". At moments like these – moving house – I realise that the real division between rulers and ruled isn’t left or right, public versus private, or any of the other issues that the political class appear to think should motivate us. It is systematised versus human. Small scale versus big scale. Community versus hierarchy. Rationalised versus personal. That is the story of people’s real lives, these days, whether those organisations are nominally public, private or voluntary sector. This came home from me forcibly as I opened my post yesterday. Three identical letters from Southern Water in identical envelopes all informed me that the address I had moved into doesn’t exist (though it was actually built in 1957 and Southern Water and their predecessors have been providing it with water ever since). They told me they are therefore sending an inspector to view the ‘new property’. It doesn’t bother me except of course for the boneheaded waste, which I will presumably pay for at some point, and extreme lack of common sense. Looking it up on the internet would have helped them find their own records. But it reminds me why we mourn when enterprises with energy and intimacy are taken over by great lumbering systems and processes. Like when the energetic online game Minecraft, which my children adore, was bought by Microsoft this week. And we know that this spells the end for imagination, flair and intimacy – not because Microsoft are inherently bad or employ bad people, but because they are too big to provide it. Ironically, it is also partly a side effect of IT which makes this so. A generation ago, when I started work, I was uncontactable outside the office. I had to use my initiative to make things happen. Now the big bosses can make every decision by mobile phone or by imposing IT systems which regulate their staff and render them incompetent – so that they can’t identify addresses which have been there for half a century. This is what I wrote about this dismal sell-off in the Guardian yesterday. Come to think of it, whatever happened to England? I lived in Crystal Palace, on a hill in south London, for more than half my life. Now I don't. As threatened during July, I've moved into a very English small town, nestling in the South Downs, and I have no regrets. But I am slightly flummoxed and I thought I would share this perspective. Maybe one of you might enlighten me. My town is outside the commuter belt, one of the advantages of being impossible to commute from, and it is in some ways a step back into a bygone age. People are patient and polite in the street. There are four banks in the thriving high street. There is an effective and forward-thinking GP practice. The local library is open six days a week. There are more cubs, scouts and beavers than most people could count. I sat in church on Sunday, marvelling at the full pews, the identically dressed, healthy-looking people on final salary pensions, the contingent in RAF uniform for Battle of Britain Sunday, saluting as we sang the national anthem. I am staggered really that all the promises made to me about my adult life at my expensive independent school appear to have come to pass here. And they seemed peculiarly old-fashioned even then, when I left in 1976. But ironically, I get no feeling that this is a naturally conservative place. There are green campaign groups, farmers markets, more solar panels than I've ever seen before. It has more community activity than I've come across anywhere. There is an arts festival and a literary festival. It is a place that works. It is certainly middle class but this is no stockbroker belt either. It is also too friendly a place to be entirely complacent. I had no idea such places, so overwhelmingly English, still existed. I'm not saying that everywhere should be like this. It would send some of my colleagues quite round the twist. But there is something that makes me cross. How come there are sections of the nation that feel like this, when so much of the rest of us have to live with libraries that open for a few hours a couple of days a week, where the GP surgery is so overwhelmed that you can't get through to get an appointment, where the high street is struggling, and you have to take a couple of buses just to get to the nearest free cashpoint? The answer I come up with, perhaps because I'm a Liberal, is that it is generations of poor government - of bone-headed conservatives with their economic experiments, of authoritarian, of unimaginative socialists packing people into concrete hutches, and of government by centralised lobotomy. The real political division, at least since I left school, has not been between conventional right and left, but between an ideology that believes the rich should rule (pernicious and unEnglish) and an authoritarian rival which believes people should be forced into simple boxes to make them easier to process. That exclusive choice has been the curse of the nation. I also ask myself, as I did on Sunday, whether my fellow inhabitants realise how much on a knife-edge this civilisation is perching. The economic trends threaten to sweep it away, as it is busy sweeping it away for the middle classes in most of the rest of the nation, perhaps rather faster in Scotland, depending on which way the vote goes this week. Because the first defence against the corosion of what makes us civilised, before we can organise ourselves to do anything about it, is to understand what is happening. May I humbly recommend my book on the subject: Broke: How to Survive the Middle Class Crisis? The discovery of the wreck of either Erebus or Terror, on the ocean floor in the Canadian Arctic, has been widely covered in the media - and not surprisingly, since they have been missing since 1845. But it has made me think about John Cabot again, one of my heroes. Not least because he was included in the story in the Guardian, since deleted. Other reports also referred to Cabot's voyage, in search of the North West Passage, on which he also disappeared in 1498. This is the conventional account, but it is coming under the spotlight. We know that one of Cabot’s fleet of five ships turned back into an Irish port. The others carried on, not into the unknown, but in the sure and certain hope that they would follow that strange forested coast all the way down to China - which was actually the purpose, not at that stage the North West Passage. Then nothing. But not quite nothing. There have been rumours of rocks carved on the Massachusetts coast with the names of Cabot’s sons. Venetian ear-rings found by a Portuguese expedition a few years later. Every nation has its own conspiracy theory about how it was them, really, who discovered America. For the past century or so, we have what you might call the English conspiracy theory – that America was called, not after Amerigo Vespucci, but after Cabot’s Welsh backer Richard ap-Meric. Then, a few years ago, a Bristol historian called Evan Jones came up with evidence – or rather evidence of evidence – that Cabot might have survived and come home after all. It turns out that the great historian of exploration, Alwyn Ruddock, had been commissioned to write a book to celebrate the five hundredth anniversary of Cabot’s landing. There were rumours that she had made some staggering discoveries in a series of newly discovered archives. But she wasn’t satisfied with the book, tore it up and started again. When she died in 2005, her will instructed her executor to destroy all her notes and research. More than thirty bags of papers were burned. Two years later, Evan Jones asked the University of Exeter Press if they’d ever had a book proposal from her. They had, and it launched a flurry of research in Cabot circles to see if Ruddock’s outline could be proven, still continuing, and with some success. Because she seemed to have found evidence that Cabot and his accompanying priest Giovanni de Carbonariis reached Newfoundland safely in 1498. Also that the expedition headed south along the coast of what is now the United States towards some kind of encounter with the Spanish on the coast of what is now Venezuela. Cabot then struggled north in Autumn 1499 with the remainder of his expedition, presumably riddled with shipworm. But the real bombshell was that Ruddock believed that Cabot left Carbonariis and his fellow friars on Newfoundland, where they set up the first European colony in north America since the Vikings. She also believed that Carbonariis sent his own expedition north to Labrador, before the Portuguese, on a ship called the Dominus Vobiscum, possibly sent out from England for the purpose in 1499. When Cabot got home early in 1500, the political situation in England had changed. The proposed marriage between Arthur Prince of Wales and Catherine of Aragon was now back on. The news that Cabot had ventured into Spanish waters, instead of finding China, was a threat to the marriage treaty and was suppressed. So was his pension. He died in despair a few months later. But the idea of Cabot going all the way down the coast of north America suggests that he was in fact the greatest of all the explorers who set out from our shores. We shall see, but you can find out more in my book Toward the Setting Sun: Columbus, Cabot, Vespucci and the Race for America, now an e-book. In the meantime, I would have thought Cabot's voyages north were as important as Franklin's in the emerging international dispute about who claims the Arctic. I note in passing that the new Lib Dem policy paper on public services has now been published. Before I go on, I should issue one warning about it. The name is nearly as long as the paper. I also need to be transparent about this. I spent many a wintry and spring evening on the committee which wrote the report, and having now re-read it some months later, it is rather better and more coherent – and more radical – than I had remembered. Lib Dem watchers will know that it wasn’t all plain sailing, or all sweetness and light either, but my friend Jeremy Hargreaves did a huge job pulling it all together, and herding us into vaguely the same place and I didn’t envy him (whatever I might have said at the time). You might add that it would apply to secondary school pupils whose reasonable choice of A level subjects has been stymied by the timetabling arrangements. Or the long-term patient who wants a consultant who will let them ask lots of questions, and many other small flexibilities. It seems simple enough, and it won’t solve everything. But it is one of those proposals that can give more power to service users, without having to go through an exhausting and expensive structural re-organisation, which never quiet achieves what you want anyway. It is also a simpler and potentially more powerful route than legislation to give people a legal right to choose. But it would have a similar effect of shaking up the system from the inside. It was something that I proposed in the Barriers to Choice Review report which I wrote for the Treasury and Cabinet Office last year. Despite what people say, and as I discovered for myself during the review, ‘choice’ is an extremely popular concept among people, but they are hazy about what it means. There are, of course, a whole range of ways in which service users are given a choice – two of them are used by the Department of Health alone (the NHS and social care use very different systems). The difficulty is that, sometimes, formal systems of choice, especially those invented by economists, can render the service even more inflexible than it was before. What people really need is more flexibility to ask for what they need, not what the economists deem is relevant. That is why the right to request service flexibility is potentially such a powerful tool. It breaks out of people’s set views about formal choice and gives them a far broader choice of options, no matter how inflexible the systems are. It would be modelled on the Right to Request Parental Leave. Service providers would not be obliged to meet your request, but they would have to explain publicly why they can’t. It is also an antidote to pile-it-high-assembly line services, which claim to be cheaper but actually just spray costs elsewhere in the system. I believe it is a human solution in a giant, inflexible system, and much more inflexible thanks to the Blair-Brown years. I hope the party adopts it. Whatever the result of the Scottish referendum, it seems to me that there is now a momentum towards independence, backed by a grassroots movement, an optimistic albeit somewhat vague vision and by the offensive technocracy of Whitehall and Westminster. It may not happen now or for a generation, but – unless there is a revolution in the administrative relationship between the two nations – I can’t see the debate just withering away. It would be a pity to lose the union, but it may be the tide of history is driving forward-thinking nations to divide into their constituent parts. That is the logic of the prevailing market doctrine which now manages the world. Yes, Thatcherism is the cause of the current constitutional crisis in more ways than one. There is no point in blaming Salmond or Cameron, who are just acting out the roles assigned to them by the previous political generation – the one that first started testing out their social theories on Scotland. I can’t think of another threat to the union quite so potent since Prestonpans in 1745. In fact, the Bonnie Prince Charlie uprising is quite a good parallel. On one side the rump of the highland clan system, reluctantly taking the field for emotional reasons and for reasons of honour. On the other side, Butcher Cumberland and the Georgian elite. Between them, even more reluctant, were the people we ought to be identifying with now – the pioneers of the Scottish enlightenment, barricading Edinburgh and Glasgow against the rebels, and the young James Wolfe, who refused to murder a captured highland chieftain when he was ordered to by Cumberland. What would our independent-minded forefathers in the embers of the Scottish enlightenment say to us now – Boswell, Kames, Smith, Hume and the rest? I think they would say this? Scottish independence would not be the end of the world or the end of the debate. Geography insists that there is a huge amount of interdependence among the nations of the British Isles. Independence simply raises the question about how that needs to be managed: what kind of enlightened supra-national organisation do we need? What flesh do we need to put on the bones of the Council of the Isles, negotiated during the Anglo-Irish Agreement? I doubt very much whether there is anyone in Whitehall thinking about these issues – the outlines of a new settlement between the British nations to take us through the next post-modern century. But I wish there was. I'm now living in West Sussex and, every five minutes or so, some kind of comparison with London occurs to me that would make a blog post. Perhaps the most obvious is in the schools. West Sussex County Council has put my children in two different schools, which is I suppose a comment on public service choice in education (I know - it's only supposed to be a right to express a preference). I have no idea what the education is like - though one of them is a very small school, very high on the league tables (more about that in a minute) - but the schools themselves are absolutely delightful. They are informal and friendly. They are helpful and inclusive, by which I mean they are welcoming to newcomers. They are not bossy. They don't talk down to me. Their walls are full of pictures, not attendence and punctuality graphs. They are about as different to London schools as it is possible to be. My children are themselves excited to be in a school where they are allowed to talk to each other outside break time. They can talk in the corridors. They can learn from each other (the basis of education as far as I'm concerned) by working in groups. This is unheard of freedom from Gradgrindism and I applaud it. As I did the rather longer school run yesterday, I happened to listen to a fascinating diatribe by the headmaster of Eton about Ofsted and the examination system. Tony Little said that the great success of Ofsted is to insist that low standards are never inevitable. This is correct. You only have to look back two decades, when Southwark for example (in its pre-Lib Dem period) got only 15 per cent with five GCSE passes in the first league tables in 1992. He also said the exam and measurement system is archaic. In fact, he's been leading the assault against measurement over the summer. In doing so, he is both asserting that the exam system is failing young people, by undermining the way they prepare for the modern world, and also peddling a very traditional message about broad education and its importance. Perhaps it is inevitable that the independent sector has become a bastion of the case against Ofsted. It is a pity that they are also allowing themselves to slip out of the hands of ordinary people in the UK - the prices charged by independent schools increasingly make them the preserve of foreign millionaires and the offspring of the financial services. They are not for us any more (see my book Broke for more on this). Which is a pity because the case is vitally important. It is why I am usually sceptical about schools at the top of the league tables. What does it say about them? What creativity are they sacrificing to get there? How are the figures being gamed? There is clearly a tendency for the schools at the very top to provide the narrowest, Gradgrindian education. That is the real message of the league tables, just as it is across public services. We need to be a bit suspicious about any service provider where the output figures look too good. There is a counter argument, and I'm only too aware of it. According to the figures, London schools are doing a good deal better than West Sussex schools, even though they are not allowed to talk in corridors. But we need to be a little bit sceptical of that too, because of the circularity in the argument. London schools have a more slavish devotion to the tables and the exams, and perhaps they needed to if they were going to drive up standards. Of course, then, they look better in the measurements that result. The question is - how much is gaming and how much is real achievement. It's going to be a mixture, but one thing is absolutely clear: you won't be able to tell from the figures. The 'deliverologist' Michael Barber says that targets and numerical standards were require to force the system to improve - and they may well be less useful later. That may be true: but having let Barber's measurement demon out of the box, I'm not sure it is possible to put it back in. Can nations separate without violence? My great-aunt used to say, with some justification, that there was only one kind of nationalism that Liberals could ever stomach. That was Irish nationalism. I suppose the point is that, while the nationalism of big nations is always abhorrent, the nationalism of small nations or regions or counties, or even put-upon towns and cities, looks like a demand for self-determination. So there is a Liberal argument for Scottish independence. The trouble is that nationalism usually comes packaged up with a kind of intolerance which no Liberal could stomach. And now that the pollsters are beginning to say the independence referendum is too close to call, these issues suddenly matter very much. Because I’m not sure that the separation of nations can happen without violence. There will be unionist groups who regard themselves as betrayed, just as there were in Ireland. Generally speaking, the home nations of former empires do not separate without the risk, at least, of civil war. But there is another way of looking at this. There is an argument that the division of nations is going to be the predominant force in the 21st century. That is the logic of the prevailing political and economic doctrines that are now mainstream. In that case, it is hardly surprising that the UK – the great industrial innovators of the world – is leading the way. It therefore matters hugely that this early separation should be carried out in a civilised way, and that we show it can be possible to do so peacefully. Where we go, the rest of Europe may follow, raising the question of what supranational co-ordination these islands, and this continent still requires. It has become almost a truism to say that the unionist case has been badly handled. At its heart it is a case for economies of scale, and – although these are clearly possible – they are not clear and not proven. Quite the reverse, the diseconomies of scale of big, centralised nations are all too obvious. The looming disaster that the establishment, right and left, are scribbling their columns about is not about economics – it is about emotions and symbolism. The real fear is that it will mean Irish-style civil war (who will wield the Black and Tans this time?). Unfortunately, the political establishment has already allowed this to become a referendum on the way we are governed, by civil servants, politicians and businesses. I have just moved house, so I have some insight into this. I have spent days stuck on my mobile phone (BT can’t provide us with a line for three weeks) in call centre hell, as business after business betrays its customer service promises. I haven’t been able to get through to Eon at all, even to tell them I’m switching to a sustainable energy supplier. As for BT, I felt like scrubbing myself clean after my conversation with them. There is a parallel here with the establishment’s case for continuing the union. 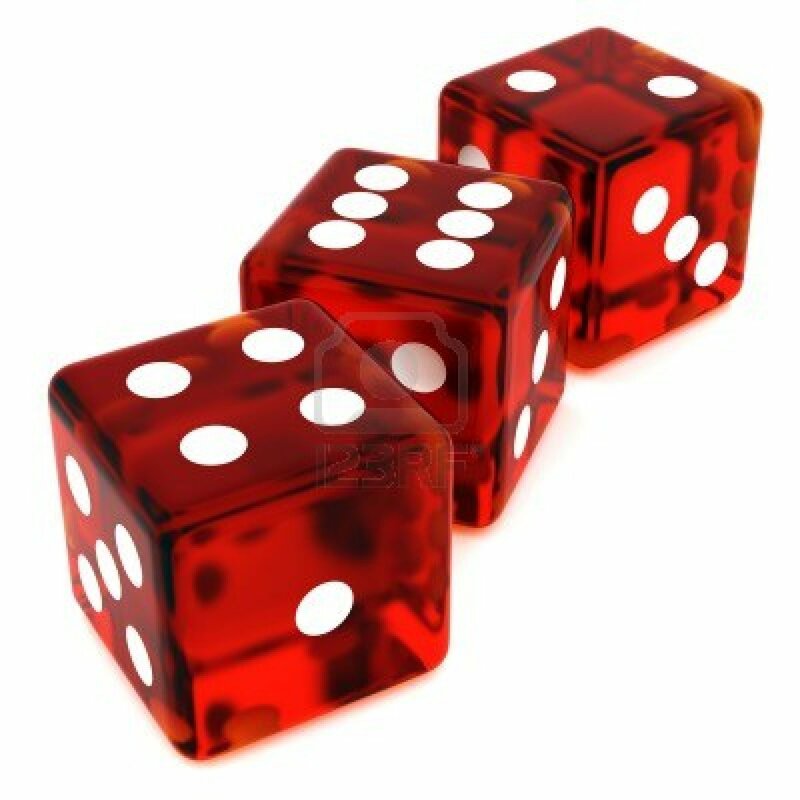 It has all been threat, bluster and bribe. The assumptions of BT is that I am able to be nudged by small sums of money, which they dangle before me, and by little else. They assume I have no ideals, no objectives and that I am some kind of utilitarian machine able to experience only two emotions: fear and greed. That is how we have come to be treated by those who rule us, and by those whose services we are forced to buy from. Those are the trappings of modern, rationalised centralisation. Will voting for Scottish independence allow the Scots to escape from this? I very much doubt it – because independence is almost meaningless in a world of increasing interdependence (except to the constitutional lawyers, who will be raking it in). The basic problem is that big, centralised systems tend to treat people with contempt. They reduce human beings to make them easier to process. Devolution of power is a real antidote to that, but clearly the case has yet to be made as powerfully as it could be. Nationhood is a dangerous concoction of emotion in comparison.